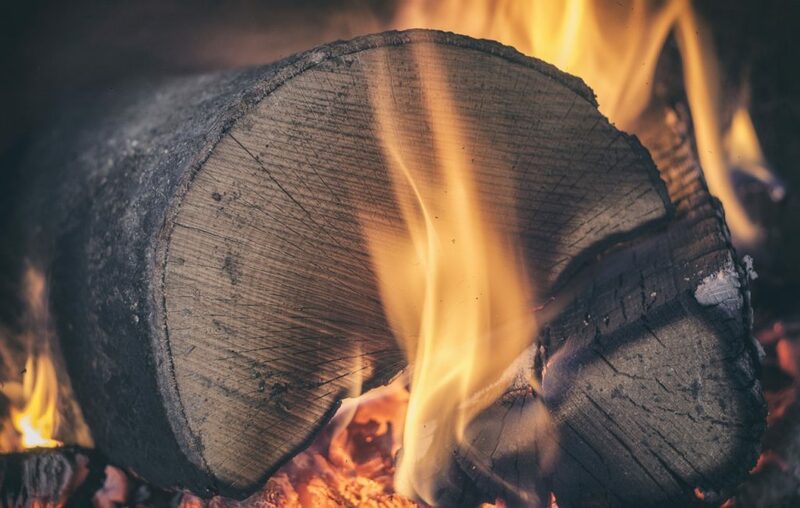 As we’re all becoming more educated on how our daily lives can impact the environment and our planet, this blog post aims to tackle the issue of log burner pollution at home. Earlier this month, the government published their Clean Air Strategy for 2019. The report was interesting and highlighted the issue of indoor air pollution, as well as the usual outdoor culprits. In light of this, we decided to discuss one of the largest contributors to poor air quality in the UK. At home, many of us enjoy a log burner or open fire. However, these sources of heat actually contribute 38% of ‘our national PM emissions’. Of course, the government aren’t banning log burners or open fires. There have been a few rumours but this isn’t true! Essentially, the Clean Air Strategy outlined what we can do to improve our usage. 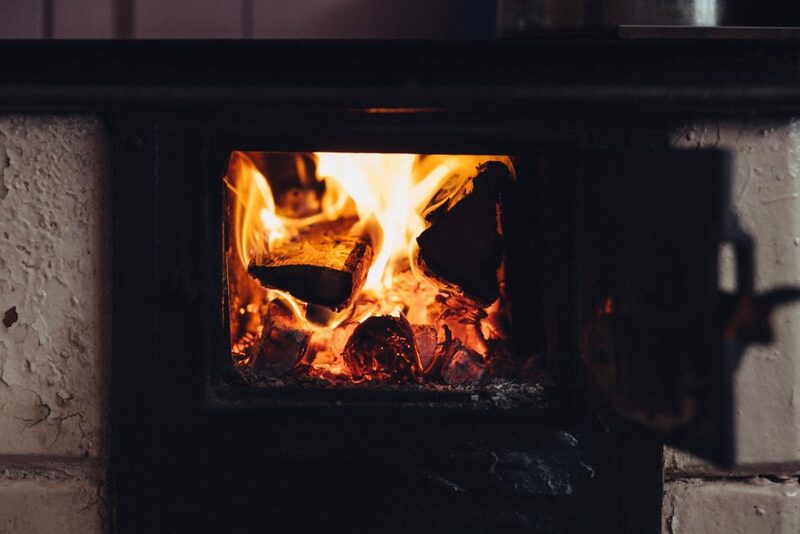 So, in today’s blog post, we’ll be taking you through some practical tips to keep on enjoying your log burners… without causing more damage to our planet! Win-win. Keep wood in a well-ventilated area so that it can dry out properly before burning. You’ll also want to avoid damp building up, especially in the winter months. A good measure to go by is 20% moisture. Anything more than this takes a lot of energy to burn off, hence being less efficient! If you use freshly cut logs, allow them to sit in a dry place for around one-two years. This is called ‘seasoning’. Smoke is caused by wood burning without enough oxygen. This can often become a vicious cycle as smoke causes soot which subsequently restricts any gasses from travelling outwards. If this does happen, make sure you get your chimney swept regularly. Visible flames are a good sign of adequate oxygen levels, so keep this in mind. You should also keep the fire at a constant to avoid the production of carbon monoxide. As we mentioned earlier, you should opt for dry wood over wet wood. But this isn’t the only way to ensure you are using the best possible sources of fuel. Look out for coal with low sulphur content – we recommend a maximum of 2%. Anthracite makes good smokeless coal as well as low volatile steam coal. What will the government be doing to tackle the problem? Whilst we can make a conscious effort to use our log burners more effectively, the government will also introduce certain sanctions. For example, the EU has planned the Ecodesign regulations (effective from 2022) which ensure only the ‘very cleanest stoves’ are available to buy and install in our homes. Not only that but local governments will be given more control. They can create smoke control areas where, for instance, only ‘authorised fuels’ can be burned. Lastly, new legislation will prevent heavily polluting fuels to be sold. If you use coal on your open fire, this will eventually be phased out so it might be worth finding an alternative. Overall, there isn’t anything to worry about. Log burners and open fires won’t be banned but we’ll definitely start seeing a change in the way we burn fuels at home. It’s all about making small, sensible changes to make a big impact together!